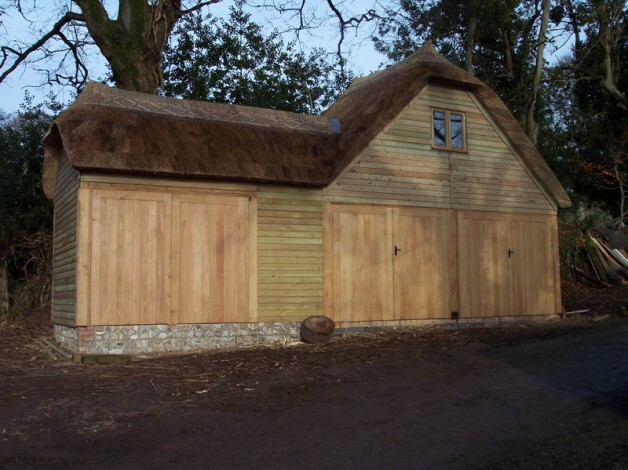 For years, Atlas Fencing has produced a wide range of quality timber buildings for its clients. Everything from the standard garden shed, summerhouse and workshop to the larger scale and even more unusual. We pride ourselves on being able to meet any challenge and being able to provide the best quality to our customers. All our work is carried out by skilled craftsmen using only the best quality timber available. As well as the usual Sheds, Summerhouses, Garden Offices and Garages, Atlas Fencing is also flexible enough to carry out work on more bespoke projects. So if your project requires that little extra, Atlas Fencing will be able to help. We also provide a maintenance service if you should have an existing building which requires upgrading. Atlas Fencing are always happy to hear from you, whether your project is big or small. See the quality of the work carried out by Atlas Fencing for yourself in our online gallery. We are very happy with the job Atlas Fencing did for us. The Fence, Trellis & Gate were all made to measure on site and it all looks really good. The service was prompt, efficient and friendly & we would be happy to recommend them.